I found a special ant today. It is Camponotus truncatus. It nests wood in small colonies. The queen and the mayors has a special head. They can block the small entrance with their head. When an ant from the colony arrives the mayor go back and let it enter. The enemies has a hard time to go in the colony. Unfortunately I did not find the nest entrance. It would be a hard job to make a picture from the entrance, but it could be a very unique picture. This is the first time I found this ant. I collected a specimen to stack it later. [Edited] One more picture added. Very good pictures, like the first one most. An interesting adaption to that ants face. Never seen anything like this. Beats me too! That is unusual! Great images by the way. I have never heard of nor seen such an ant. Very nice find and great pictures, better than those in Seifert´s book! You know Péter, I was kinda waiting for you to post a picture of this famous species with the chances of encoutering it being much higher down in the South at your place. I encountered C. truncatus the first time several years ago in a warm wine-growing area of Germany. A specimen of the major morph is in my collection and, of course, on the "to-be-stacked list" . Very interesting stuff, look forward to your stack! Never heard of these before, I guess we don't get them in the UK? 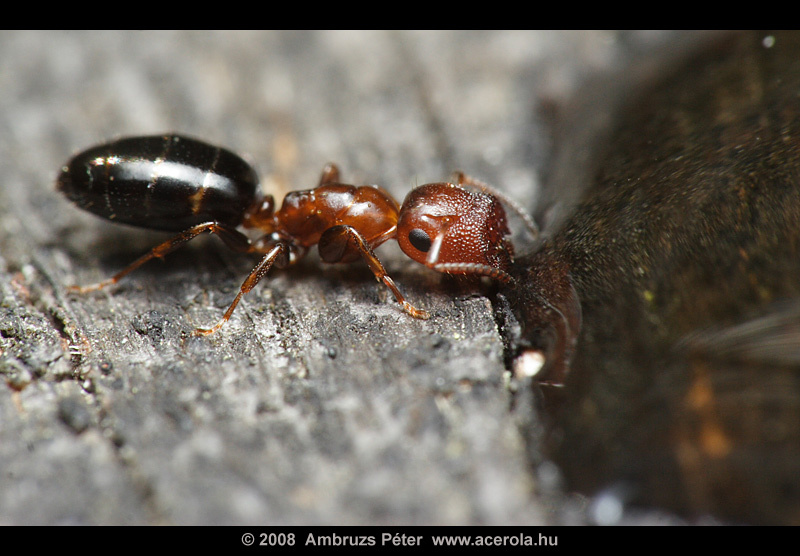 First picture is really nice for an ant in the wild, I know how tricky they are! I'm assuming they are not HUGE ants?! Betty: My old dream was just to make a picture from them. It is really surprised me that I find it, and what surprises me more that I find it on the place I visit 5-6 times in a year for a while (my main photo site). lauriek: They are 4-5 mm long. beetleman: I checked it in antweb. The USA species are quite the same at the first glance. It can be found in Florida for example. I just checked antweb and there are at least 10 cork head species under Camponotus. More of them from the USA, so you can keep your eyes open. Beautiful, I love those ants. They have long been considered a separate genus Colobopsis, but are now considered to belong in Camponotus. All the best and fantastic detail BTW. Great work and shots. haha that first one is real funny, great shots of an unusual insect. 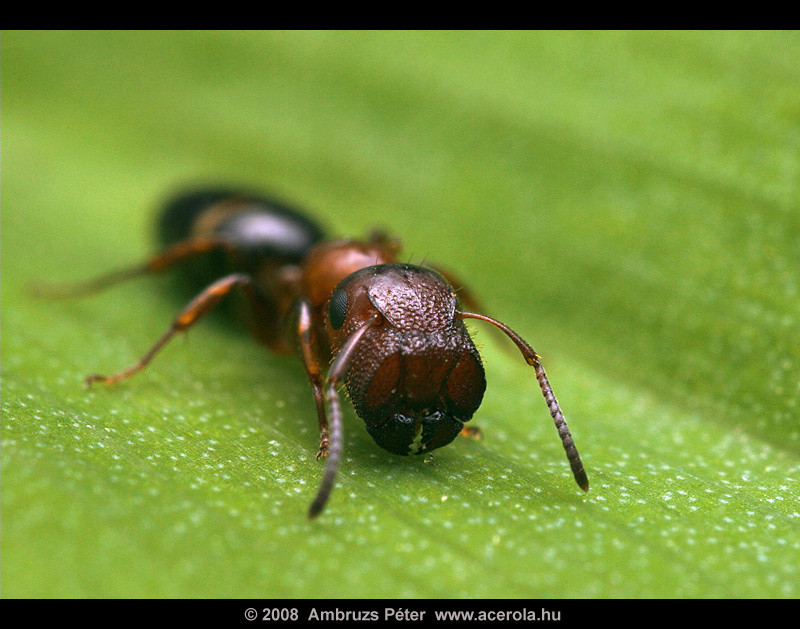 Gordon: Interesting that it became Camponotus, it is more similar to Dolichoderus by the look of them.